Rose Mary Daniels Spence of Hoover, Alabama, died at the age of 87 on July 29, 2018. Rose Mary was born in Jacksonville, Florida, on May 30, 1931. She graduated from Robert E. Lee High School in Jacksonville, Florida. She graduated with High Honors from the University of Florida in Gainesville, Florida. Rose Mary was preceded in death by her husband of 62 years, John D. Spence; and grandparents, Bertha Arlington Cox Henderson and Andrew McDowell Henderson, Laura Alexander Daniels Reagan and John Daniels. She was also preceded in death by her parents, Mary Kate Henderson Daniels Booher and Clyde Daniels. She is survived by her sons, John Dwight Spence, Jr. (Jan Knight) of Hoover and Scott Lockhart Spence of Tuscaloosa. She also leaves three grandchildren, Nicholas Spence, Kristen Spence Crain (Steven), and Michael Spence all of Birmingham. Rose Mary had been married to John for 62 years at the time of his death. 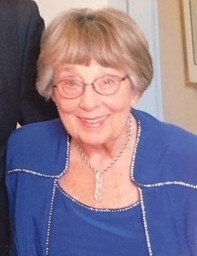 She spent 30 years as an Army wife in the 1950’s – 1980’s. She traveled with her husband when he was transferred to Europe and a number of times across the United States. When John was assigned to Korea for 1 year and Vietnam for 1 year she remained at home raising their two boys alone. During their time in the Army they moved 20 times. On the many military posts where the family was stationed, Rose Mary worked as a leader and volunteer with many of the organizations that support the soldiers and families. She loved animals and she was known for taking in strays and finding homes for them. She held strong political beliefs and kept abreast of the day’s happenings and took great pleasure in talking politics with friends. While in her 80’s she wrote and published a book about Army family life. She was a devoted mother and grandmother “Nonny” who took great pride in her grandchildren. The family would like to give special thanks to the many caregivers over the past year with Home Instead and Alacare / Hospice. A joint memorial service will be held at the Currie-Jefferson Funeral Home Chapel located at 2701 John Hawkins Parkway, Hoover, Alabama on August 18, 2018 at 1:00 with visitation at 12:00. Interment will follow at Arlington National Cemetery, Washington D.C. in the coming months. In lieu of flowers, donations may be made to the Disabled American Veterans.